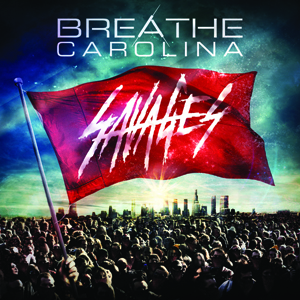 After the success of ’11’s ‘Hell Is What You Make It’, it’s no surprise to find Breathe Carolina leaning ever heavier on their electronic roots. The formula quickly becomes tiresome though, and certain tracks offer little – if any – real substance, ultimately struggling to build on the foundations set by previous efforts. ‘Sellouts’ featuring Danny Worsnop is the only real guitar-led oddball, as the Colorado based troupe bring the riffs and screams to the surface, but the ironically named closing duo ‘I Don’t Know What I’m Doing’ and ‘Mistakes’ sum it up, as ‘Savages’ could be perceived as a huge slab of the latter.